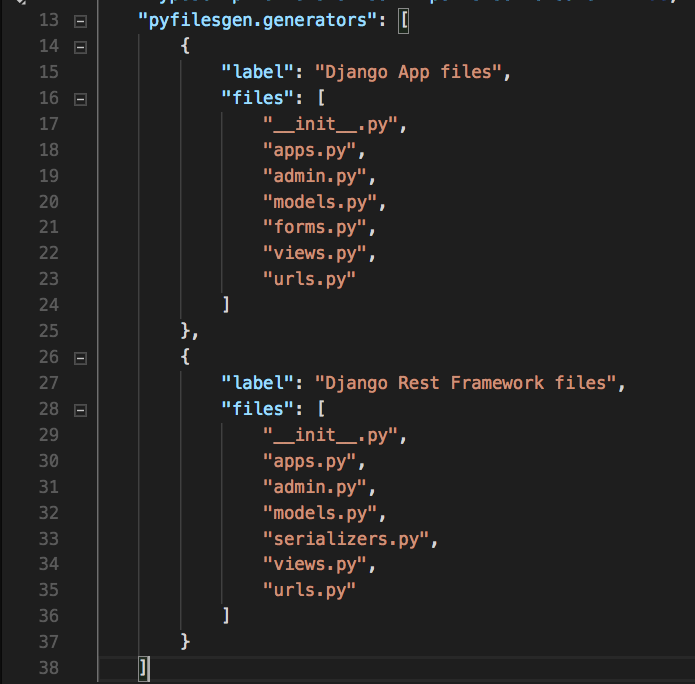 Visual Studio Code>Programming Languages>Py Files GeneratorNew to Visual Studio Code? Get it now. 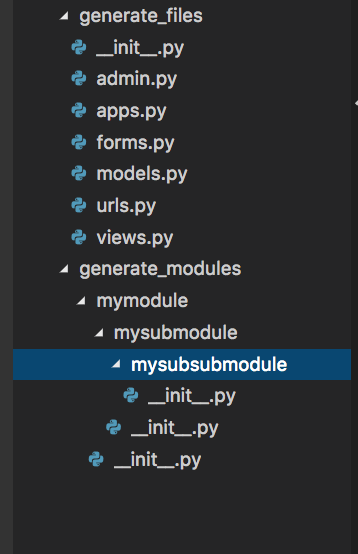 This extension help Python developers to generate a module/submodules tree filled with the __init__.py file. The extension can also be customized with a set of generators each one with a list of files to generate. By default, Py Files Generator generates a directories tree and put a __init__.py file in each. You can add your custom generators by adding them to your settings file. 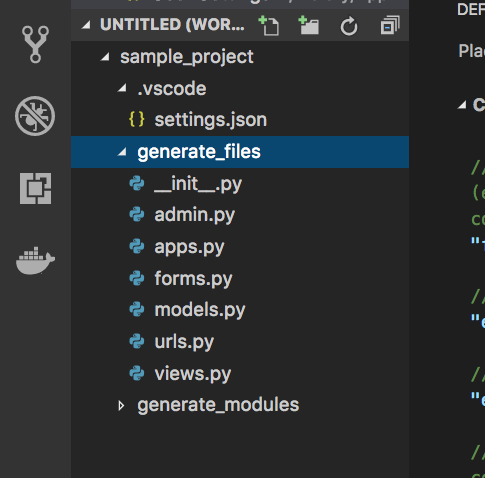 Choose Python files generator... from the context menu. Type enter and the modules will be generated. And your files will be generated. Py Files Generator is licensed under the MIT license.